Allen Iverson made a splash in the NBA world when he came onto the scene. He became a cultural icon and changed the NBA forever, but very few people know the troubles he faced after retiring. 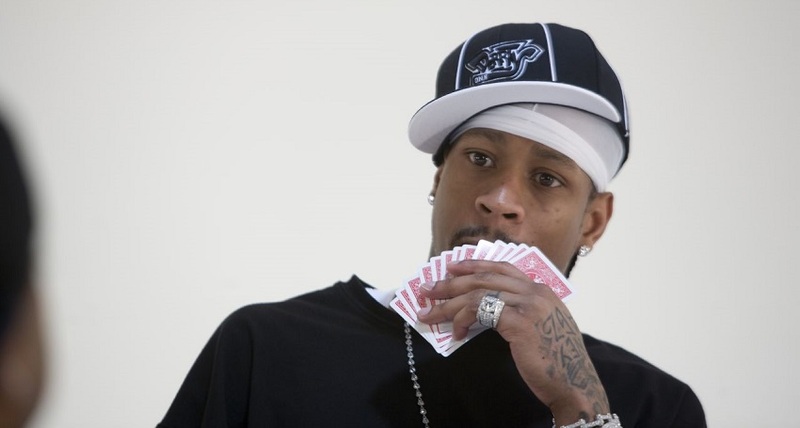 After earning over $200 million dollars, Iverson struggled to adjust to life without basketball. Nothing could’ve prepared him for the rollercoaster he was about to face.. 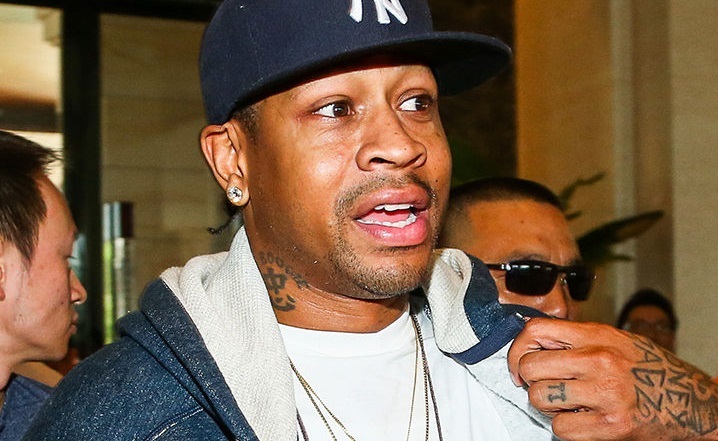 When Iverson was just 17 years old, he and his friends were involved in a brawl at a local bowling alley. The fight broke out because a group of teens supposedly told Iverson and his friends to quiet down multiple times. Words were exchanged and a massive fight broke out. Allen allegedly hit a woman across the head with a chair and was arrested along with 3 friends. He was charged and convicted as an adult to “maiming by mob”. 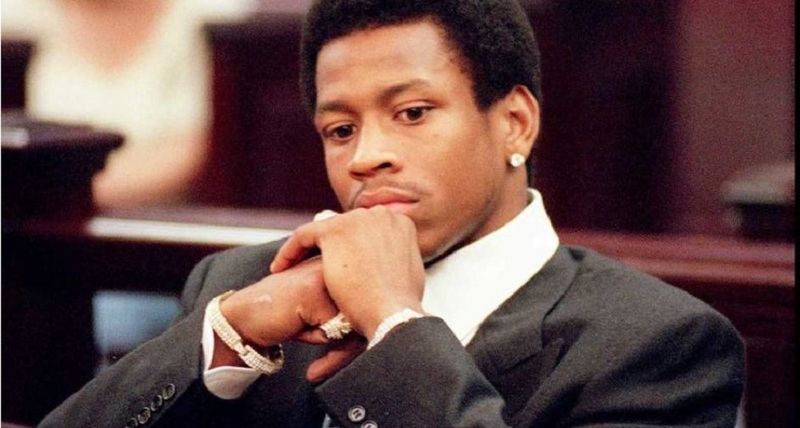 The guilty verdict sentenced Iverson to 15 years in prison. He spent only 4 months at a correctional facility in Newport News, Virginia. What followed is without a doubt the luckiest thing to ever happen to Iverson. Douglas Wilder, the then governor of Virginia, granted him clemency and by 1995, the Court of Appeals overturned the conviction due to insufficient evidence. 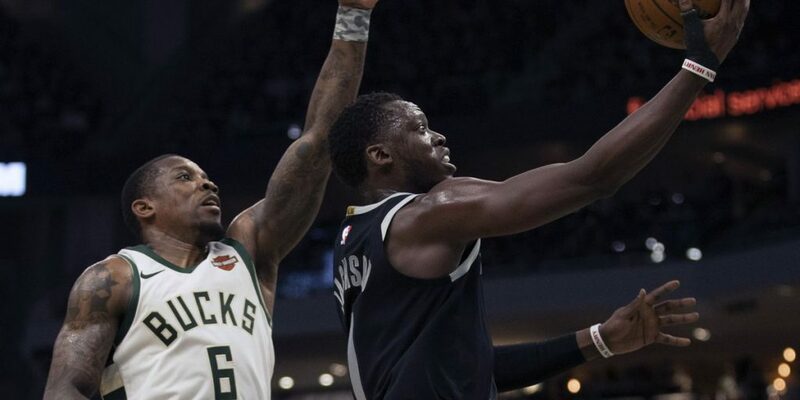 But it came at a price, as Iverson was forced to finish up the rest of his senior year of high school at a different school that specialized in troubled youth, Richard Milburn High School. Before being arrested, Iverson attended Bethel High School. He played both football and basketball and was the high school’s star quarterback and star point guard. As a junior, he led both of his teams to the Virginia State Championships, which was a remarkable achievement. 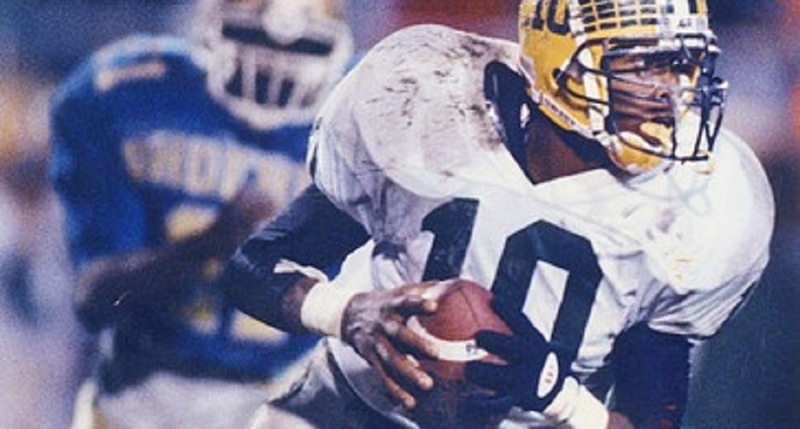 He was so good that he earned AP’s High School Player of the Year award for both football AND basketball. Many people believe that his troubles all started with his upbringing. 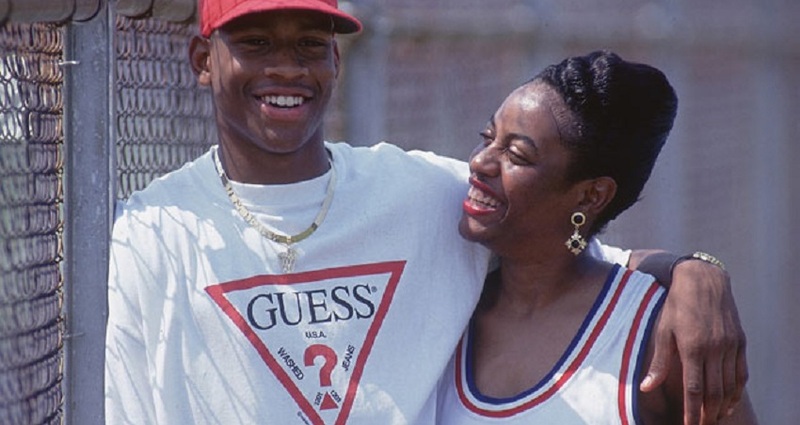 Allen Iverson’s mom, Ann Iverson, was just 15 years old when she had him. His father left her before he was born, so he was given her maiden name. He never had a solid male role model in his life before high school. But his mom ended up being his saving grace. Even though his years at Bethel High School made him a top recruit for both football and basketball across the country, after his arrest, no university wanted him. 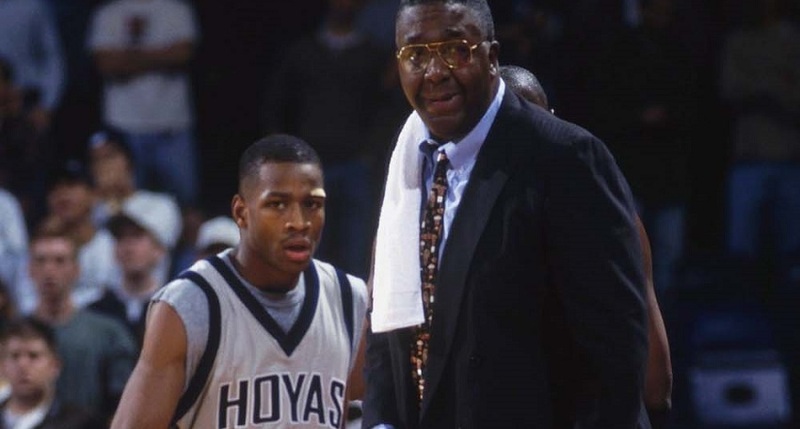 His mom ended up going to Georgetown in person, and begged the basketball coach, John Thompson, to accept her son. 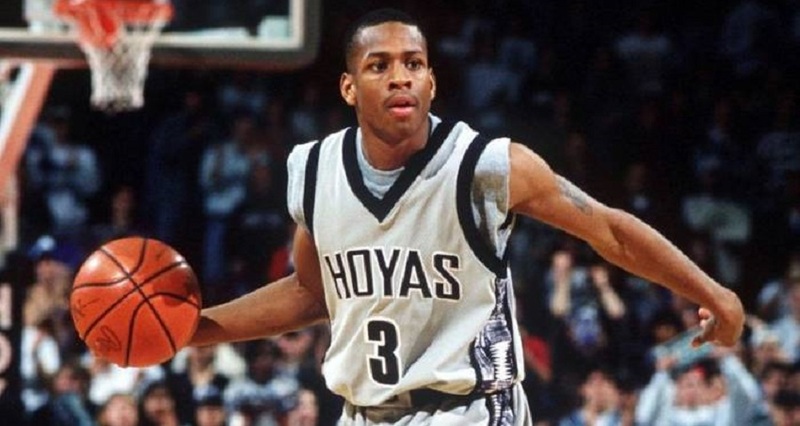 After doing a bit of research, Thompson was able to offer Iverson a full ride to play for the Georgetown Hoyas. 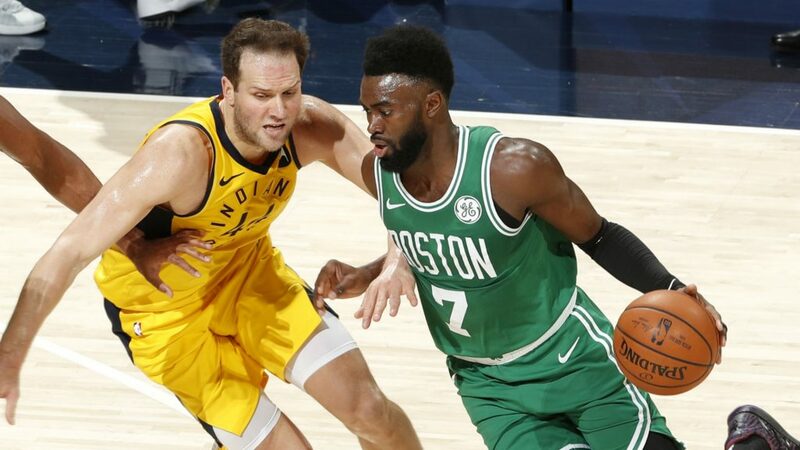 During his first season, he was named the Big East Rookie of the Year and took the Hoyas to the NCAA tournament where they lost in the Sweet 16. 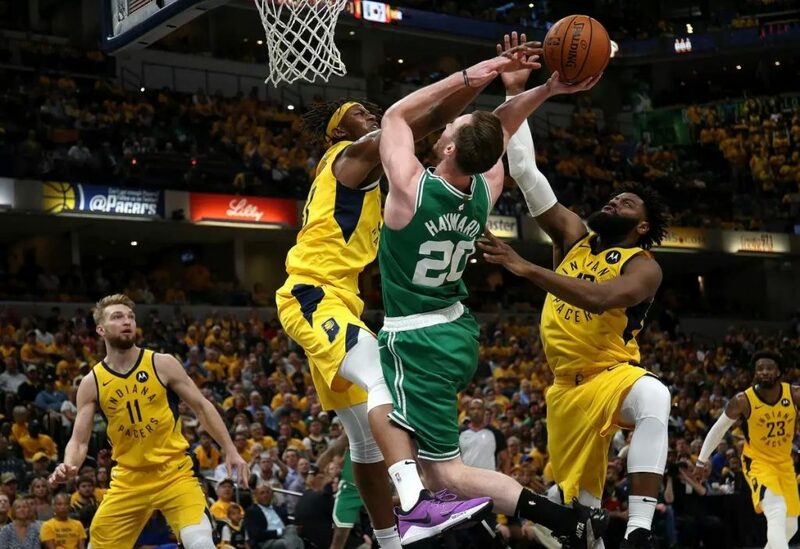 Then his second season, he was able to win the Big East Championship and take his team to the Elite 8 of the NCAA tournament, but couldn’t reach the final four. At the end of his sophomore year, he declared for the NBA draft. 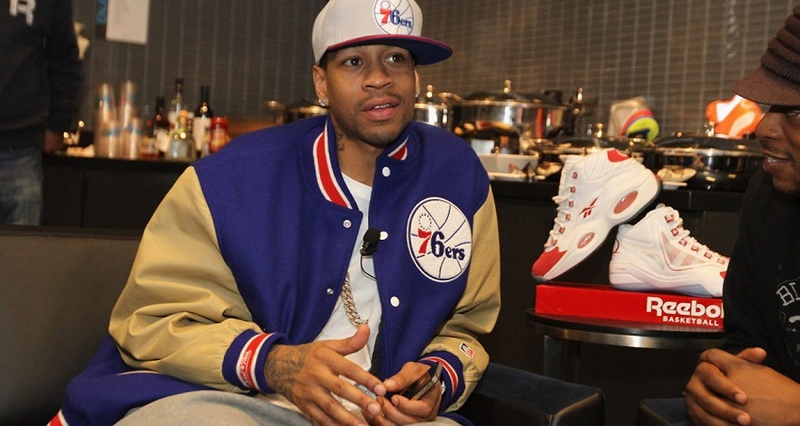 Allen Iverson was selected first overall in the 1996 NBA draft by the Philadelphia 76ers. To put his talent in perspective, in that same draft, Ray Allen was selected 5th and Kobe Bryant was 13th. Iverson won Rookie of the Year after averaging 23.5 points per game, which included a 50 point breakout game. During the offseason of his rookie year, Iverson was arrested in his home state of Virginia. He was in a car with friends that was pulled over for speeding. During the traffic stop, drugs and guns were found in the car. 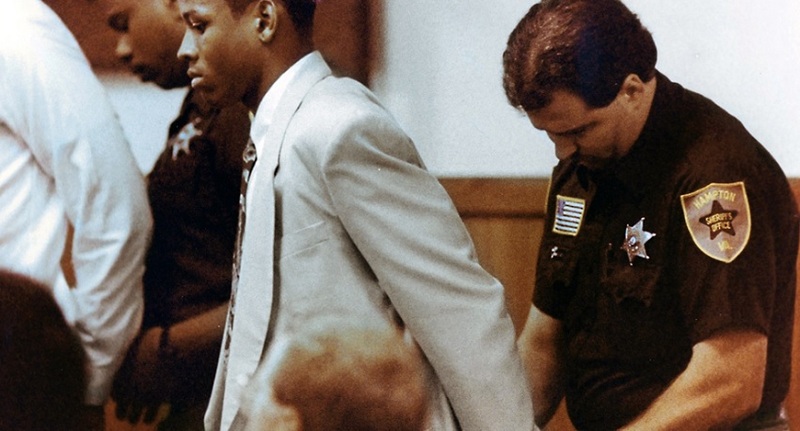 Iverson was only sentenced to probation and 100 hours of community service. During his third season with the 76ers, Iverson signed a 6 year contract extension worth $70 million. 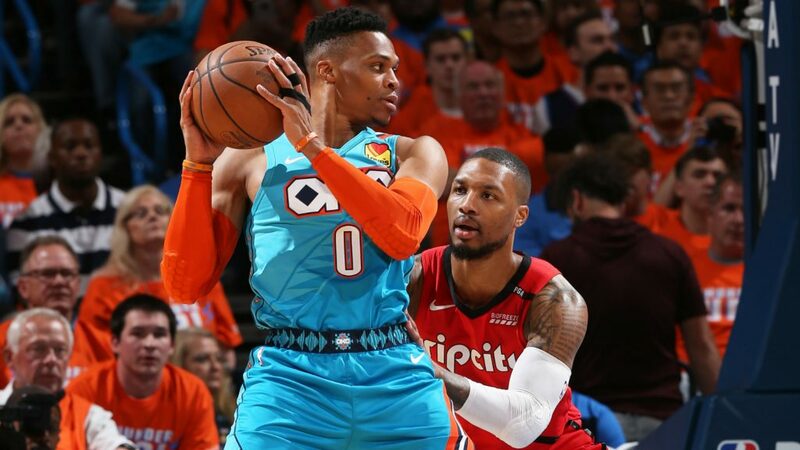 He also won his first of 4 scoring titles that year by averaging 26.8 points per game. Two years later he was named the league MVP and reached the NBA finals but eventually lost to the Lakers. 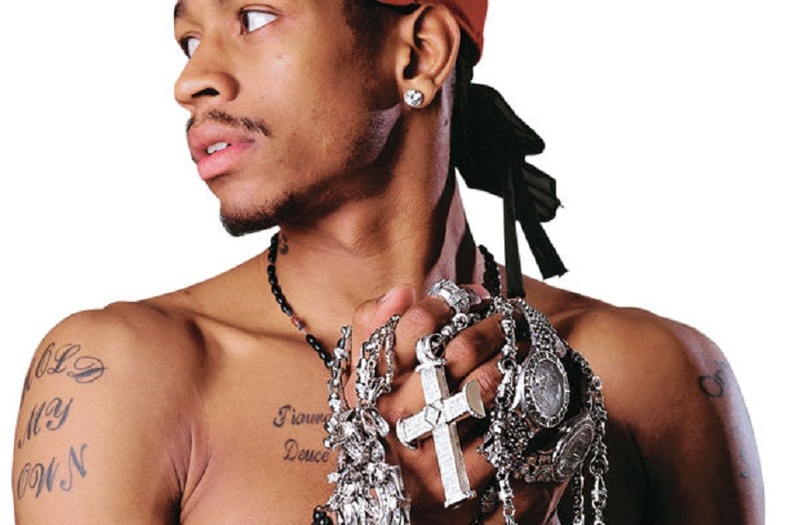 This solidified Iverson as one of the best players in the NBA, which led to a lifetime contract deal with Reebok that guaranteed him $800,000 a year for the rest of his life. 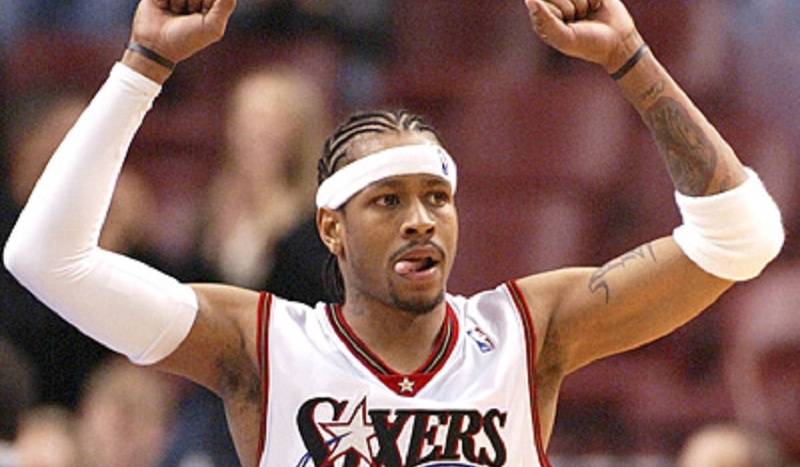 In 2003, Iverson and the 76ers agreed to terms that would keep him in Philadelphia for another 6 years. 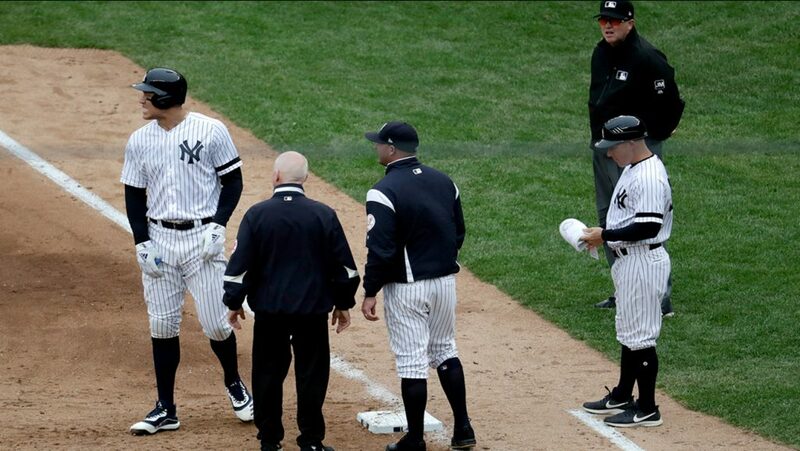 The new contract was worth $76 million. 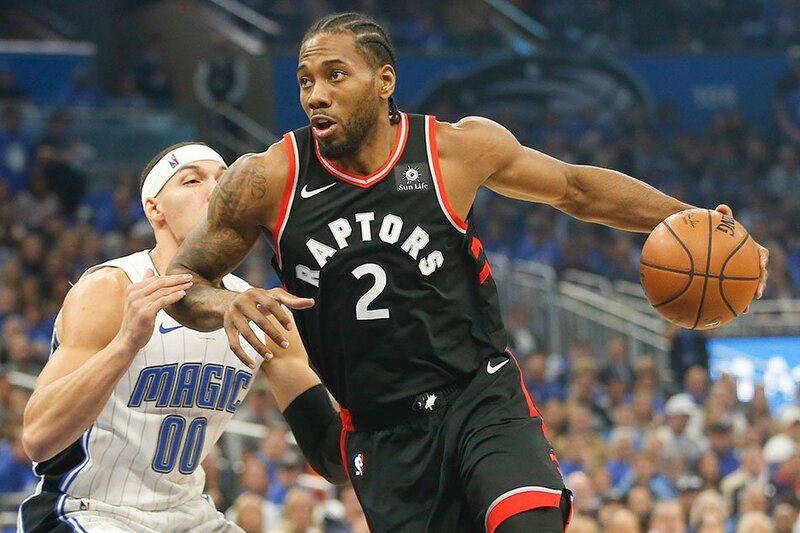 His total salary earnings from his NBA career are now over $150 million. 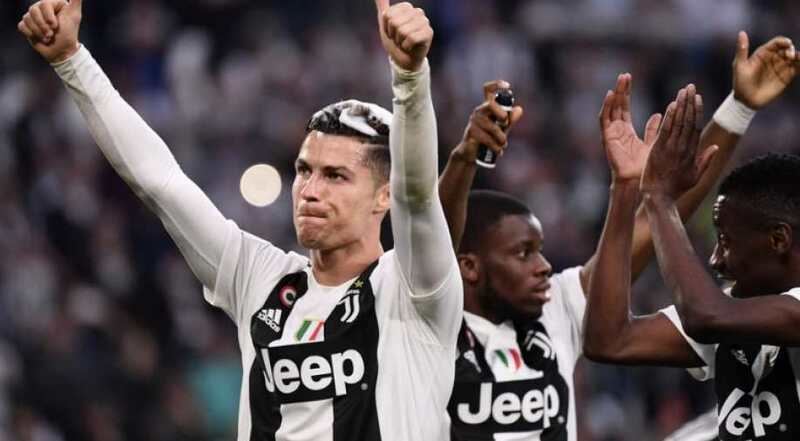 If you factor in his deal with Reebok and other endorsement contracts, his total lifetime earnings now surpass $200 million. 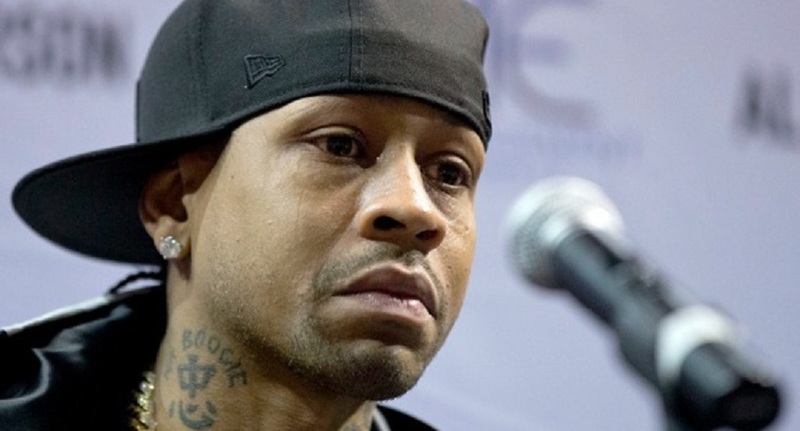 Somehow after making over $200 million in his life, Iverson found himself broke. His addiction to gambling and drinking played a big role in how he ended up penniless with nothing to show for it. His problems were so bad that he had outstanding debts to many casinos. Some casinos in Atlantic City and Detroit actually banned him for his drunken and reckless behavior. 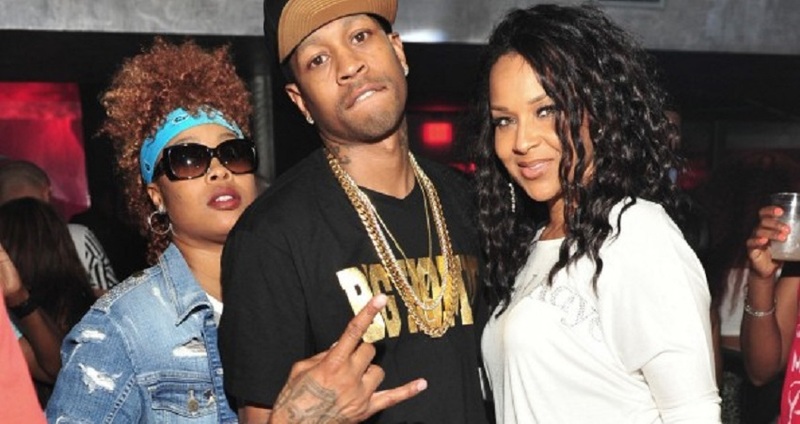 Iverson met his wife, Tawanna Turner, in high school. The two had 2 kids together before getting married in 2001. They eventually had 3 more kids, raising 5 in total. Their marriage was already off to a rocky start. After a year of marriage, the two got into a heated argument. 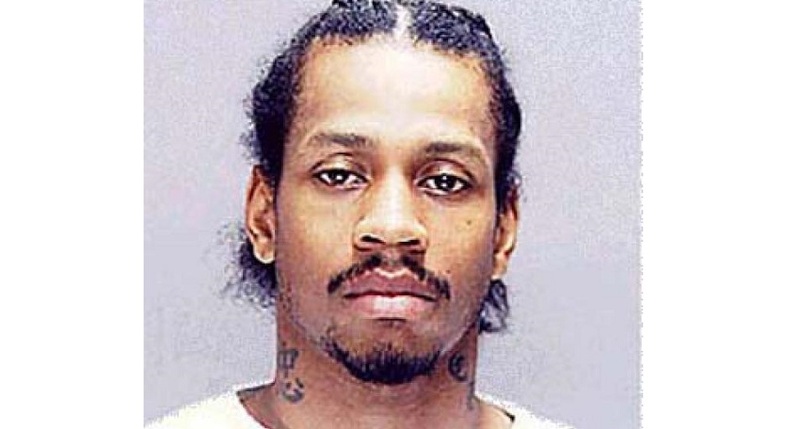 According to police, Iverson got so mad that he kicked her out of the house. Another day, his checking account was overdrawn by over $23,000 because he had visited a jewelry store, a steakhouse and a hotel. The total he spent for that day? $23,255.36. He was also sued by another jeweler because he owed over $860,000 in unpaid diamond jewelry purchases. His wife was forced to sell his jewelry to pay for rent and their kids’ tuition. Some pieces included an 8.47 carat diamond ring and a 5.27 carat loose diamond. Tawanna could no longer deal with their life. 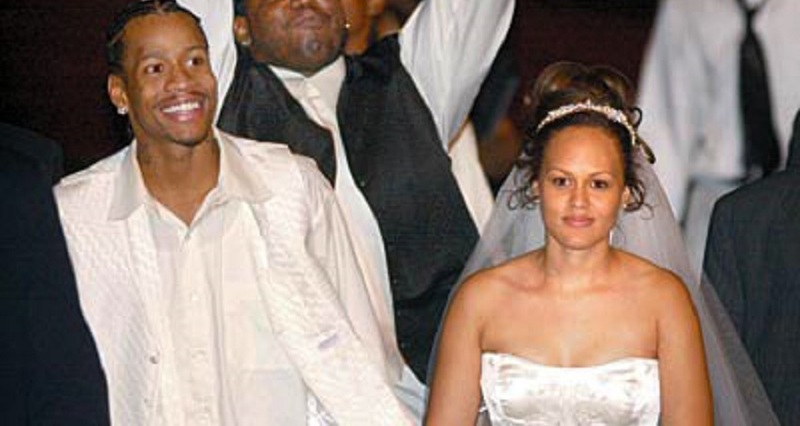 Even though the couple now shared 5 children together, Tawanna decided to file for divorce. 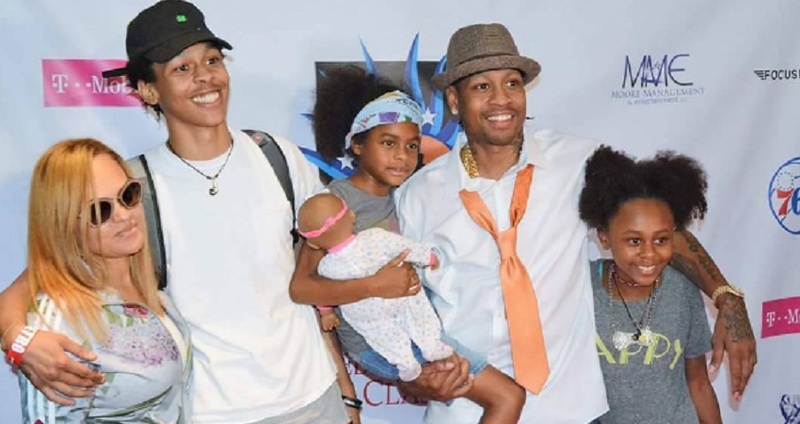 In 2012, during a divorce proceeding, Iverson reportedly yelled at her direction, “I don’t even have money for a cheeseburger!” She reached into her wallet and handed him $61. He revealed that he had monthly expenses totaling $360,000 but his monthly income was only $72,000. 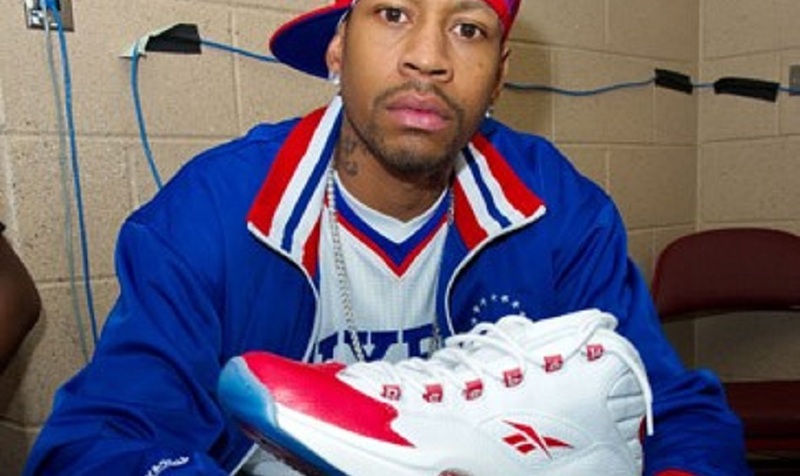 Lucky for him, Reebok knew this would happen..
Because of his infamous spending habits, the CEO of Reebok thought it’d be wise for Iverson to not only take a $800,000 annual stipend for his lifetime endorsement deal with them, but at the age of 55, Iverson would receive a whopping $32 million all at once. Everything was looking great for Iverson. His financial future seemingly secured. That is until he used that future $32 million trust fund to try and save his marriage.. In an effort to win his wife back, he agreed to sign a post-nuptial agreement that if he violated any of the stipulations, she would receive all $32 million when it was available. 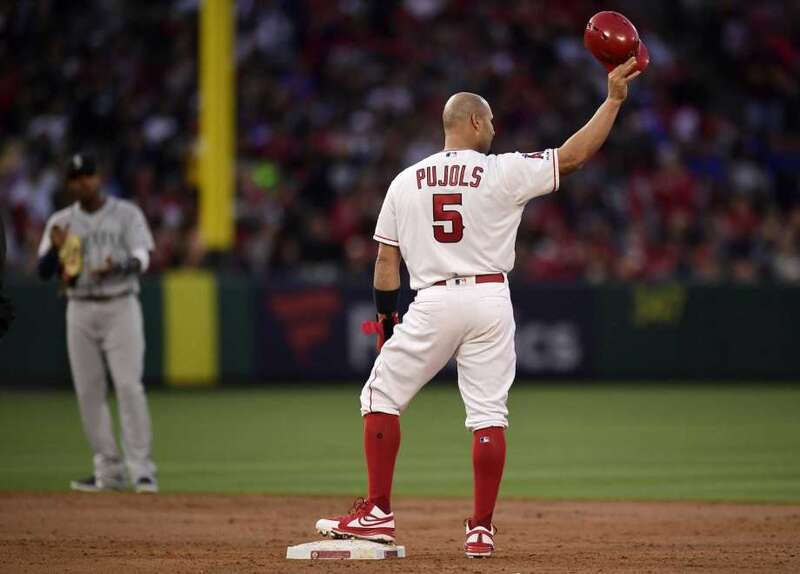 The stipulations were that he couldn’t cheat, physically or verbally abuse her, had to attend marriage counseling and therapy for his drinking and gambling problems, he had to be home by midnight and finally, had to discuss with her any purchases he’d make over $5,000. Yup, you probably guessed it. He broke the stipulations of the agreement. Several times. She re-filed for divorce in 2013 and was awarded everything in the agreement including ALL $32 million. 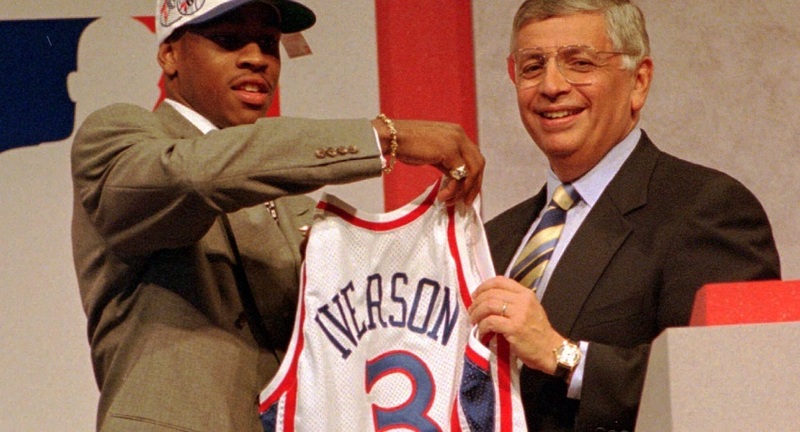 Luckily, for Iverson, his younger self actually did something incredibly smart. 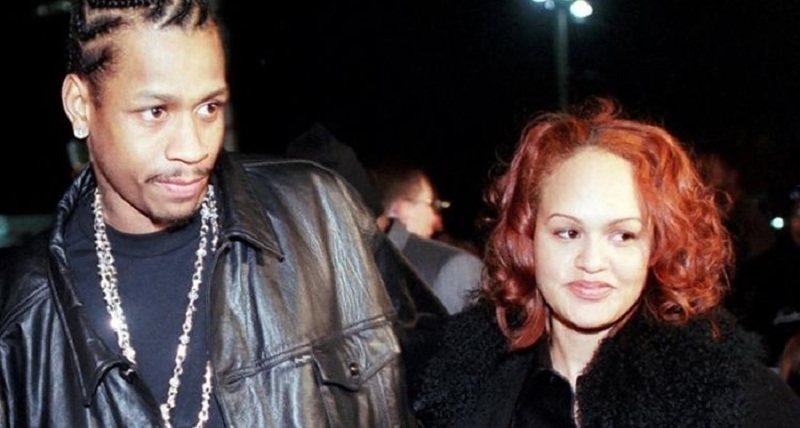 Young Iverson seemed to have picked a good one, as out of the goodness of her heart, his ex-wife agreed to give him half of the $32 million once it’s available. In the crowd was his entire family, including his mother, kids and of course, Tawanna. 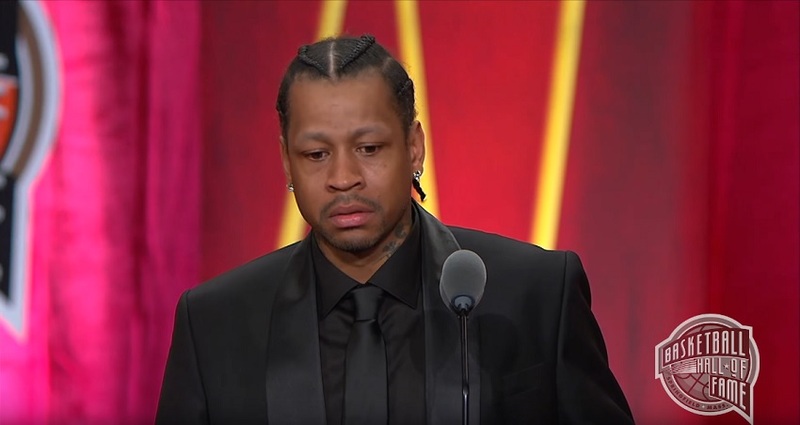 Iverson had everyone in tears, including himself. He also said that he couldn’t wait to spend another two decades with her, showing that they’ve put aside their differences.